In the am – take it out and enjoy cold or heat it up in the microwave! I need to try out these Quest bars- people seem obsessed! Oh girl!!! You HAVE to! I have a bit of a problem with them though… I like them a bit too much. Try the chocolate chip cookie dough, and take it out of the wrapper – put it in the microwave for 12 seconds and – boom – life changed! Such a great snack and a good source of protein without the sugars and carbs!!! Let me know what you think! 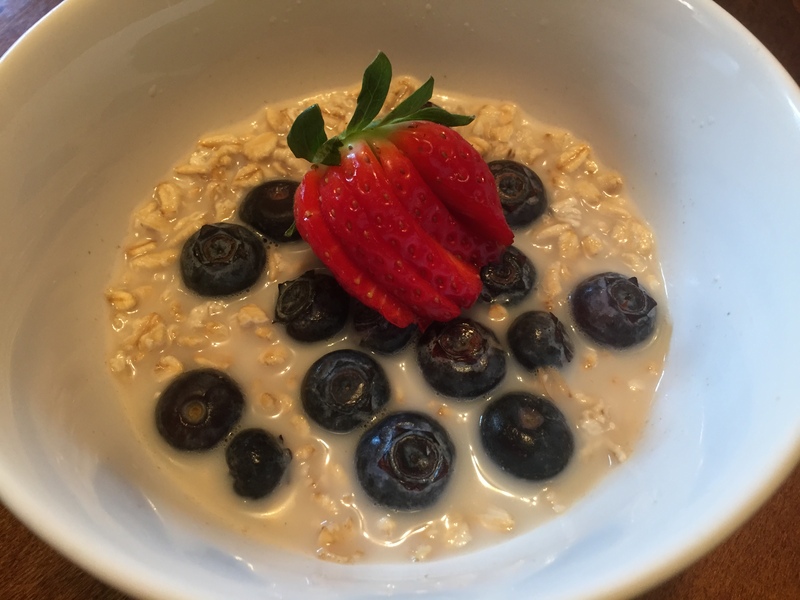 Pingback: Bircher Muesli Apple Juice Yogurt Recipe - The Power Breakfast.